Inspired by the world of fashion, her fabric choices for sofas and chairs are always on trend. The styles she chooses, whether they are modern or updated traditional, are fresh looks for today's homes. "The quilting on the back and sides of this chair make it gorgeous to look at from all angles..."
"A classic shape for the base, yet the metal top fives it a very current, up-to-date feel." "Quirky and playful, everyone needs a small drink table; they fit anywhere!" "Love the framed-out back! Another beauty from any angle!" "Family-friendly, this ottoman brings color and pattern to your space, and LOVE those hairpin legs!" Karyn always surprises us with on-trend beautiful bedrooms and dining rooms. Whether it's a new classic or something more edgy, she has filled our showroom with stunning looks, many of which are handcrafted in the USA. Her background in upholstery and design give her a leg-up as her choices are always spot-on. 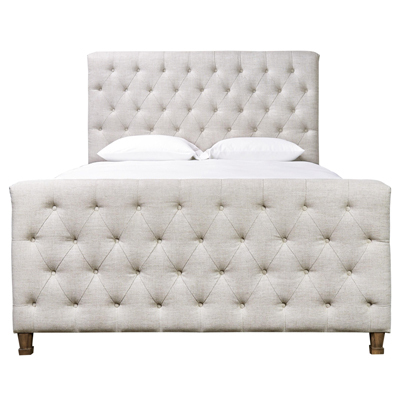 "Soften the look of a bedroom and create an eclectic look by adding an upholstered bed." "The chevron pattern front is crafted by artisans in India making each piece unique." "A beautiful mirrored piece that can work as additional storage in any room." "The unique starburst chair back design wil be the first thing you see walking into a beautiful dining room." 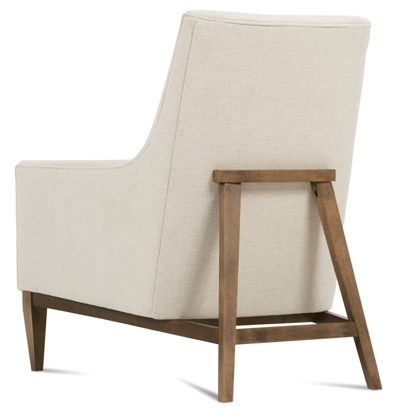 "Perfectly scaled for a hallway or behind a sofa..."
Upholstered beds, accent chairs, and consoles...oh my! This summer's Buyers Picks are filled with perfect pieces to fill your home. See all of these items on display in our Belfort Furniture Showroom in Dulles, Virginia or click their links above to learn more about the items online. Don't forget to Enter To Win one of these furniture favorites!